Product Description Rustic Opulence. 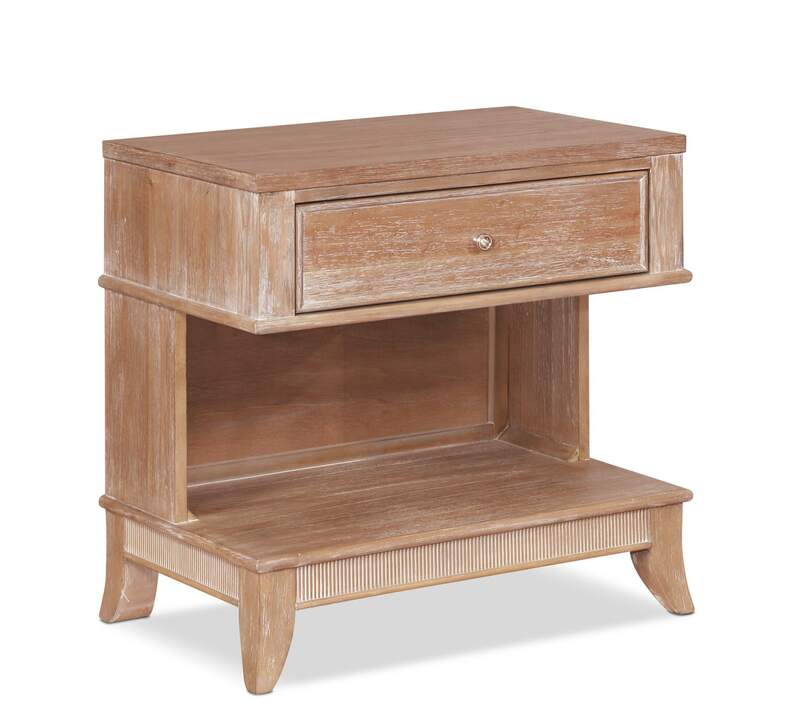 The romantic curves of the Hazel one-drawer nightstand invites comforting warmth into your bedroom. The gracefully carved poplar solids and mindi veneers feature a brushed finish to create a cozy cottage feel, while the pewter knob hardware ties the ensemble together. A double USB port with adjustable LED light adds convenience to your bedtime routine. Customer assembly required. Unique Features: A double USB port with adjustable LED nightlight adds convenience to your bedtime routine. A spacious drawer and open storage provides ample room for bedside necessities. Pewter knob hardware ties the ensemble together. Drawers: Full extension metal glides allow each drawer to be opened and closed with ease.